A lot has happened in the past few months. 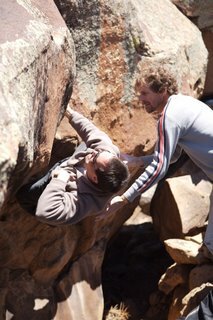 Most notably, I have been exploring a new bouldering area just outside Slickrock Colorado with friends. The bouldering is world-class. The rock is clean. 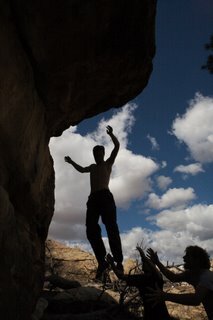 The access is BLM. Best of all, you can do many problems in a day (depending on how hard they are) and everything you do has not been done by anyone else. 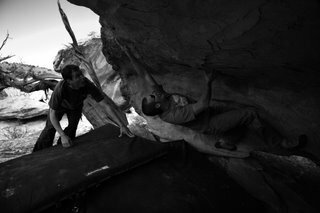 Grades are between V0 and V7 so far and there are many amazing lines that will go at a much higher grade. This is a taste of what we are up too. 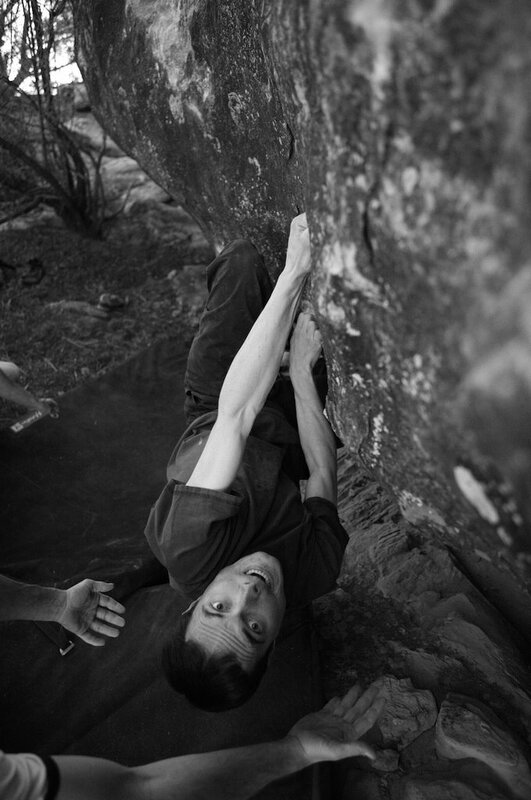 The above photo is of Andy Cook on Spin-Cycle V6. 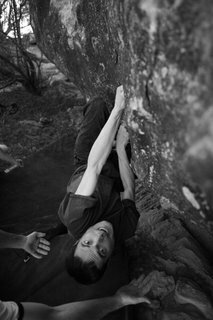 Below Dan Goss fires up another classic V3. 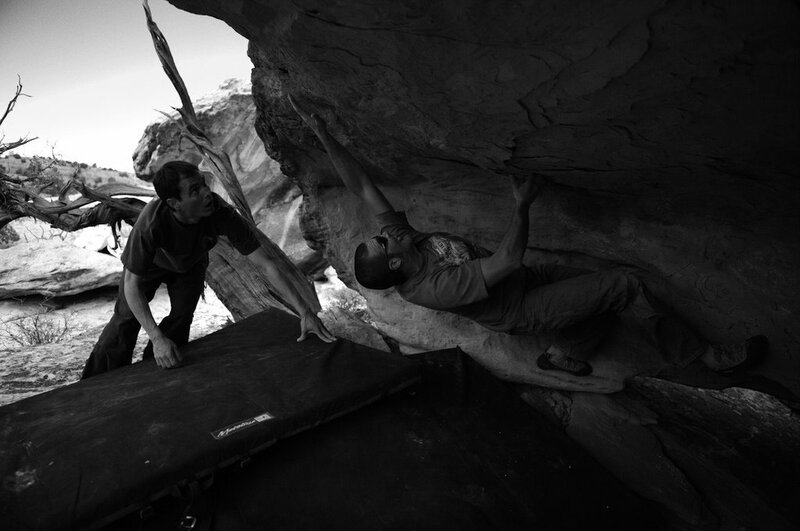 So, many new routes...(left) Paul Pierce on a "totally-killer" V6; (mid. 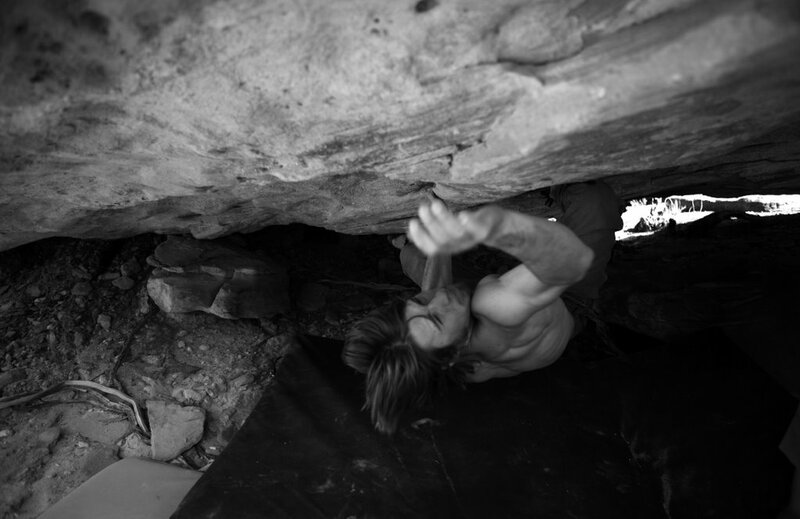 Paul on a new V3; (right) Paul getting air.